Dust off the planer boards and fire up the kicker motor, because it’s trolling season! That’s right,, crankbait aficionados, it’s your time to shine! This time of year fish are still relating to deeper flats and tapers, where a typical setup of Berkley Flicker Shads and Flicker Minnows trolled behind Off Shore Planer Boards will rule the day. This is also the time of year that walleyes are beginning to move to steep breaking structure, especially offshore rock structure. Since this is an “in-between” time, both spots are likely to be holding fish and will have to be checked out when you get on the lake. It is imperative that you use the Precision Trolling App to know how to set your lines at the proper depth. Just select the crankbait you are using, dial up the depth you want the lure to run and let the app tell you how much line to let out. It’s that easy! When you are setting each of your lines for the setup described above, be sure that the shallow lines are only a foot or two off bottom. 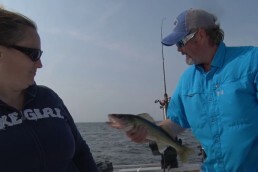 The flat lines should be running close to bottom and the lines being pulled through the basin should be just above where you are marking the majority of the fish to trigger the most bites. Once again, the Precision Trolling App data is invaluable, especially with the new snap weight data that they just updated to help your lures reach those deeper fish! 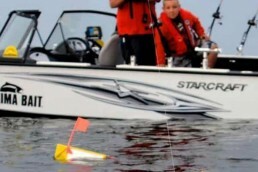 It is also important to pay attention to your speed when trolling warm water. The speed of your boat should not be dictated by the temperature of the water, but the crank and the action of the particular crank. It is a common belief that 2 mph is a great trolling speed. But, we have found that it can be too fast for some cranks. A lot of cranks have a great trolling speed of 1 mph. The bottom line is that you should constantly be changing your trolling speed to find the best action for your bait! What makes this kind of fishing so great is the ability to be flexible. 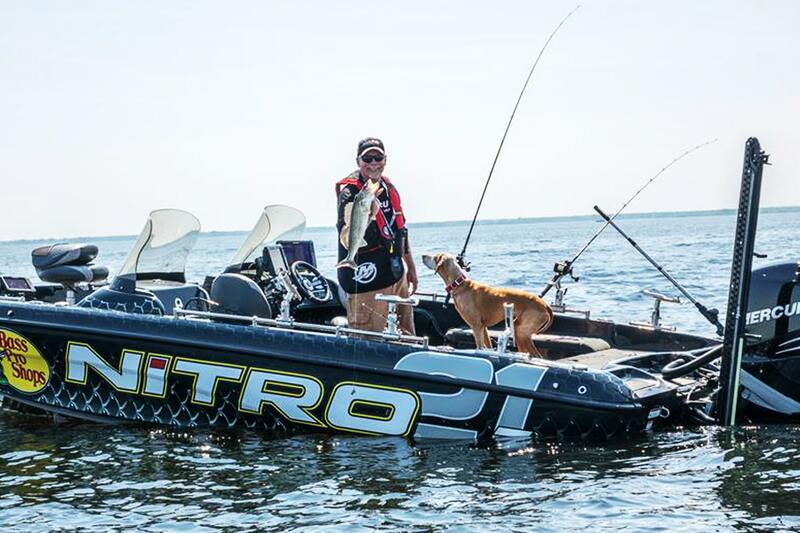 Many times, we hear anglers talk about being bored while trolling. That shouldn’t be the case. You should constantly mix up your speeds and baits until you find what they want. Experiment with different color setups so you can hone in on the exact pattern they are looking for. While “factory colors” can work great, we’ve expanded our horizons with the addition of custom colors from Renegade Outdoor Innovations, which includes some incredibly realistic, natural-looking baits. These patterns are really cool and the fish eat ‘em up! The ultimate goal is to dial in your presentation so well that all of your lines are running the same style of lure in the same color pattern at the same depth! When it comes to equipment, the 9.5-foot telescopic Walleye Angler Trolling rods from Bass Pro Shops are real sweethearts! We run the baits off of 10-pound Berkley XT line, which has been the standard for trolling walleyes for years. The Off Shore planer boards we run have a very heavy ballasted system so boards can be trolled slowly without tipping. They are also great for handling rough conditions. When trolling crankbaits, we like to modify the clip setup on the boards to what we call “The Pro Setup”. We remove the release hardware and the OR16 (Red) release from the back of the board. The board comes from the factory with an OR19 (Orange) release that is mounted straight out on the arm and we add another OR19 just behind that one so it’s aimed back at about a 45- degree angle (the board comes with a pre-drilled hole for this modification). The advantage of the “Pro Setup” is that it makes the boards easier to read because they will “tip back” more when a fish is on. It also makes removing the boards easy, especially when you are fighting a fish by yourself. 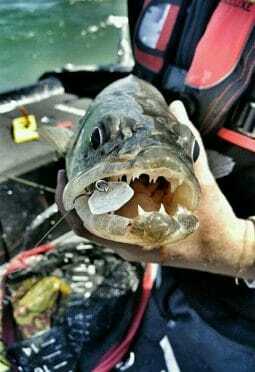 Remember, there are a few key things that will make you get your next bite when trolling cranks. 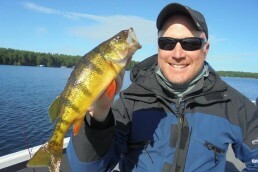 Graphing for fish, watching your speed, finding the right color pattern and, most importantly, precise lure placement! If you can bring all of this together, you will have a fishing trip that you will be talking about for years to come!